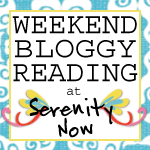 Serenity Now: Thrifty Treasures: Score at the Opp Shop! 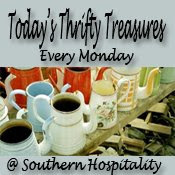 Miss Rhoda at Southern Hospitality is hosting another fun "Thrifty Treasures" party. Head over there today, and you'll be sure to find some inspiration! Today, I thought I'd share my finds from our trip out to the Opp Shop in KG. As I mentioned before, this place was packed. I don't think KG has many (or any!) thrift shops or even a Salvation Army. I guess they all drive in to The 'Burg. I had to navigate a smallish thrifty shop that was packed to the gills with wild eyed thrifters, all mad for a bargain. I had the 18 month old, Michaela Byrd, on my hip and I prayed to God that Natalie (my three year old) would just follow without being distracted by shiny things (poor thing takes after her mama). Highly, um...well--ugly slate. It's pretty big, larger than the normal slates I've seen people hang outside. This will get a coat of black paint or chalkboard paint. Haven't decided yet, but you know you'll see the results here! Found this beautiful little bottle (originally from Pier 1) at a yard sale this weekend. Don't you just love the pretty little details? It's the palest aqua blue. They also had a beautiful bearded collie who was not for sale, much to the dismay of my girls. That sale had the. 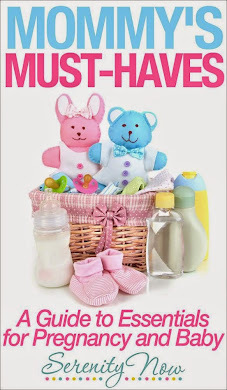 most. lovely. cream colored, upholstered armchair with matching ottoman. They were small, well-made, and sturdy. For $15. Did I buy it? No. (sniffling) In my wisdom, I asked another shopper to sniff it for me (I have no sense of smell, and no shame). She said it smelled of cigarette smoke, and I wasn't willing to spend $15 and not be able to get that smell out of the pieces or my house! This is the face of a child who wanted to bring the sweetest bearded collie home. She has, like her older sister, mastered the art of sticking her lip out to pout! Great finds! That slate has lots of possibilities. I had not thought of the chalkboard paint on it. I am on the lookout! Love that sweet baby face at the end. Thanks for sharing and have a great week. You know I love those pretty aqua glass bottles. I would have bought that too. Love it! I knew some of you would be jealous of that fan I found. Don't ask my why I've found 2 in 2 weeks?! You just never know. I'm loving the beautiful glass bottle you found! What a real treasure! All great finds, and at a great price! I especially like that frame! Good stuff! I live that frame and bottle. Girl, you are so crazy!! Loved the comment you left me. Love your finds this week too. I love the Pier 1 bottle and that Welcome sign is very interesting but I'm sure it will match your decor better when you paint it. and they all learn to stick out that lip really young. She is very cute, with stuck out lip and all. I love the pout, she is too cute! I love that little bottle, such neat detail! love the big jar from Pier 1. good deal. Great finds! I love the look of the hoops with fabric stretched across them as a wall hanging. I'll have to keep my eyes out for some myself. You win the"master shopper" award! That was a great haul. And yes, she is a master pouter. Once again, you've found some great things. What types of fabrics are you thinking of using in your embroidery hoops? I would love to share some of my scraps with you if they match what you are thinking about! $2.20? Holy Moly! What a fantastic day! Wow! You got some awesome deals! Thanks so much for stopping by on my SITS day! That was great! I love the mirror and blue bottle. I'm always on the look out for glass pieces. What a total sweetheart your little girl is! My kids always get the "doggy bug" when we go yard sale-ing too because we see so many dogs. You did get some bargains. Great finds! Love the hoops, they are Awesome for wall art!! Thanks for stoppin by my blog! We would totally have fun thrifting together! Awesome finds Amanda! And you know I am toally in love with that beautiful glass bottle. It's my signature color! I was feeling adventurous and took my girls to a yard sale for the first time this weekend. NEVER AGAIN! how do you do it? They must be angels. Hi Amanda, thanks for stopping by my blog :) I love that blue jar and all those embroidery hoops, great finds! You found some great finds! Can't wait to see what you do with that ugly slate :). You did good this weekend! Wish I could have found some embroidery hoops because I have thought about doing the same thing! LOVING the pouty lip! And I don't blame you about the chair! Love the blue bottle - it would look great in my bedroom/bathroom. Great finds! Love your great finds!! Good job! Great buys and great way to to shop ! Love you little one - so dang cute ! Lot of great finds! What fun it will be to find some pretty fabric for those embroidery hoops! Amanda~ love your vision with all of these! Great idea with the fabric and the hoops...storing that one for me! I can't believe that you only spent $2.20! I love those hoops! Thrifting is amazing....and I love your vase!!! Amazing. I need to stop looking for clothes and start paying attention to the other stuff!